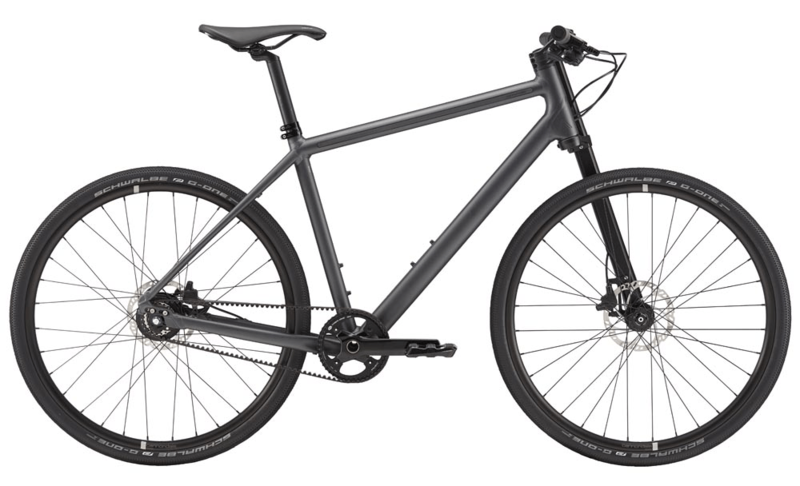 The Cannondale Bad Boy is a premium urban bike that offers style and substance in a single package. It delivers striking looks and performance urban commuters expect from a brand known for its premium bikes. The Bad Boy is definitely worth considering if you are looking for a great commuting bike with solid looks. The 2019 Bad Boy is fairly similar to the 2018 model (except Bad Boy 1 which has WTB Byway 40c tires and Shimano hydraulic disc brakes). Let’s have a look at some compelling reasons that make the Bad Boy one of the best urban bikes currently available. The Bad Boy is designed to minimize bumps and uneven surfaces so you feel comfortable while riding. The 40mm tires (Bad Boy 1) and 650b wheels along with Fabric Silicone Cell grips and Fabric Scoop Radius Elite saddle maximize comfort and provide a cushy ride. The Bad Boy takes inspiration from Cannondale’s mountain bikes and provides a seat position that improves visibility for a faster ride. This helps commuters reach their destination on time without feeling tired. Cannondale is known the world over for its agile bikes and the Bad Boy is no exception. One Piece Integration, stiff lefty fork and alloy frame make the bike very agile and provide smooth handling you need to conquer urban jungles. The mountain-bike-like flat and wide handlebar offers better stability and feels solid. Changing gears is smooth and super easy, thanks to the Shimano Alfine 8-speed rear hub and Gates carbon belt drive. 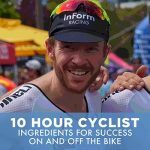 Riders can effortlessly change gears when riding steep hills, while virtually maintenance-free chains means you don’t have to worry about greasy marks on your pants. Cannondale went a step further and offers integrated LED strips for better visibility and aesthetics. The integrated lights on the fork and seatpost improve safety and come in handy in low-light conditions. Bikers need a reliable and powerful braking system to safely commute congested cities. The Shimano M396 (Bad Boy 1 2019) and Magura MT2 hydraulic disc-brakes provide urban commuters with the confidence and control they need to deal with city traffic and other obstacles. As the name suggests, the Bad Boy is designed to stand out from the crowd and features a lefty fork, black and gray tones and clean lines. The head-turning design along with features such as Urban Armor system (soft padded trim to protect the bike when placed against poles, walls or locked) make Bad Boy eye-catching as well as durable. Although different Bad Boy models have some differences in specifications, you are not missing much if even if you plan on buying the least expensive one. 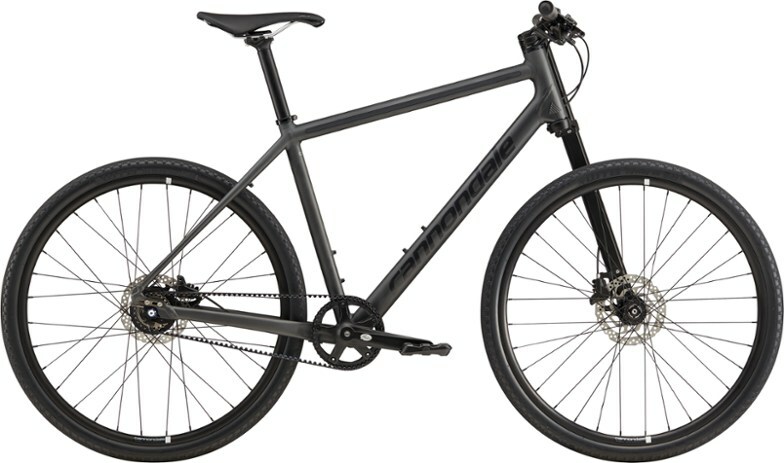 The Bad Boy is designed to dominate the busy streets and provides comfort, control, modern aesthetics and durability bikers have come to expect from Cannondale. 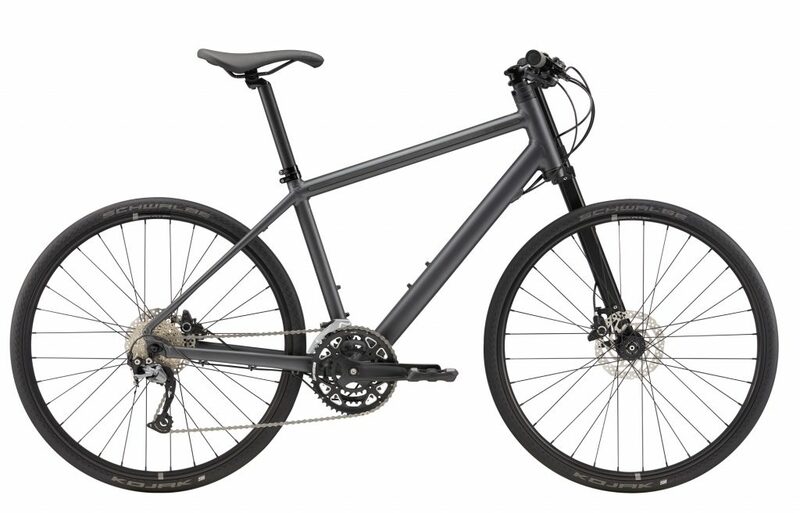 Bad Boy 3 (2018) is a great option if you are looking for a reliable urban bike that does not cost a fortune. Bad Boy 1 (2018) is recommended if you can find a good deal for it, while the Bad Boy 1 (2019) is for you if you want the latest and greatest and cannot settle on anything less than the best.